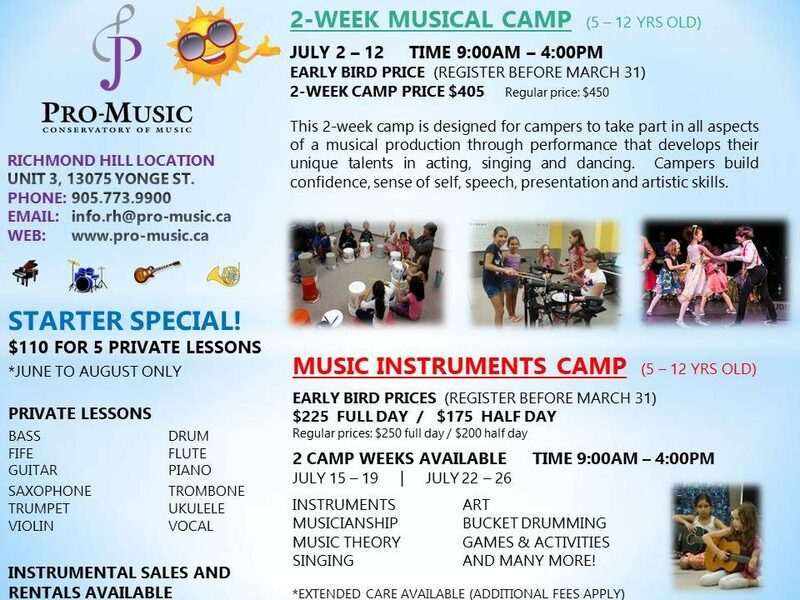 This is a wonderful opportunity for your child to continue their music education and appreciation through various activities and games during the summer. Children who do not have previous music training are also welcome to join. The summer Starter Special for private lessons are also available to current students looking to try a "new" instrument. 5 (five) 30-minute lessons for $110 ONLY!! !